Let students have fun while reviewing sight words! 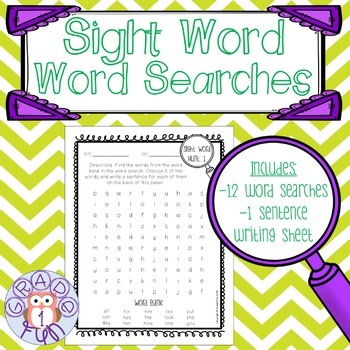 Students will have to be detectives hunting for sight words in these word searches! After they find the words, they will choose 5 words to write sentences for on the back of the paper. 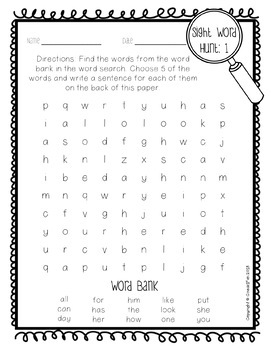 Great for a review week or a word work center. Words are taken from the Fountas & Pinnell Phonics Program. 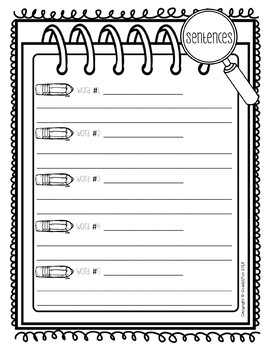 Included in this bundle are 12 word searches and 1 page for sentence writing. These word search pages are great for a word work center, independent practice, homework, and morning work.